Today, the multi-campus College operates as the principal Catholic College on the Redcliffe Peninsula. The College strives to provide each student with a coherent and seamless transition from Prep to Year 12 and maintains a proud record of academic and sporting achievement. 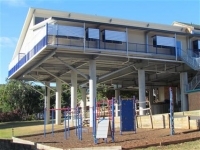 Offering a comprehensive education for all students, the uniqueness of the College and diversity of campus locations allows students, and their families, access to facilities unparalleled in Queensland Catholic Education. 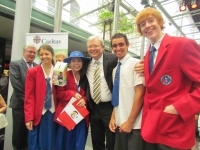 Southern Cross Catholic College is a guiding light for the Redcliffe Peninsular and the wider Brisbane educational community. The College has a long and rich history, celebrated regularly and recognized in our four founders – St John Baptist de La Salle, Dr Daniel Delany, St Mary of the Cross MacKillop and Monsignor Bartholomew Frawley. The College also looks forward to an exciting future, building on the successes of the past and the achievements of the present. 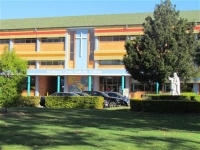 This unique Catholic College provides a comprehensive education for students from Prep to Year 12. The College aims to maximize the abilities of all students by providing them with the opportunity to experience a myriad of subject and vocational choices, exciting extra-curricular activities, sporting opportunities, cultural experiences and much more. At the same time, students experience a true Catholic Christian community that provides the essential spiritual and pastoral necessities for all involved in our College. In particular, Southern Cross is widely regarded for their Marine Science Training Centre. 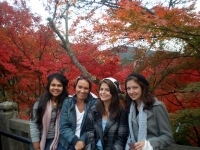 The bay side location, resources, staff expertise and student interest is unrivalled. The two year course introduces students to the practical and theoretical components of diving, boating and marine biology. 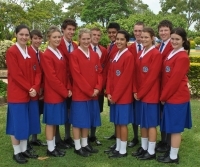 Southern Cross Catholic College offers students full authority and authority registered subjects, Vocational Education and Training and school-based apprenticeships. The Queensland University of Technology gives students availability to access subjects and gain credit towards tertiary studies in the Bachelor of Business (Accounting) by completing courses at the college. Southern Cross is a member of the Sunshine Coast Region and many of our students represent the region at State Championships. Also, the College is a participating member of the Catholic Girls Schools competition of swimming, cross country and athletics. Annually, we proudly recognise our students who represent at state and national level. Students have the opportunity to pursue their interests in a range of individual and team sports which include swimming, triathlon, athletics, cross country, basketball, touch, rugby league, rugby union, cricket, AFL, netball and soccer. The facilities at Southern Cross enhance the sporting opportunities of its students.